HOBOKEN, NJ (February 29, 2012) – FIGHT NOW TV TM – America’s only 24-hour combat sports and entertainment channel – announced today that it will air the final fight of mixed martial arts legend Mirko “Cro Cop” Filipovic‘s illustrious career to viewers across America on Saturday, March 10. “Cro Cop”is set to take on another kickboxing great, “Sugar” Ray Sefo, live from Filipovic’s native Croatia. Filipovic (16-7, 11 KO), once famously describing his kicks as “right leg: hospital; left leg: cemetery”, remains a Croatian sports icon who has starred in the UFC, Pride, K-1 and Dream during his more than decade-long fight career. He holds kickboxing victories over such notable fighters as Mike Bernardo, Jerome Le Banner, Peter Aerts, Mark Hunt, Remy Bonasky, Misashi and Sam Greco. New Zealand native Sefo (56-21- 1, 38 KO), fighting out of Xtreme Couture in Las Vegas, rates as one of the premier and most recognizable kick-boxers in the world. A five-time Muay Thai world champion and eight-time K-1 World Grand Prix finalist, Sefo’s most prominent kickboxing victims also include Bernardo, Le Banner and Aerts, as well as Bob Sapp and Stephan Leko. There will be nine other great kickboxing matchups on this once-in-a-lifetime card. Final Fight promises to be a first-class production every step of the way with Michael Buffer serving as ring announcer, actress Jane Park as event host, and former K-1 superstar Nobuaki Kakuda as referee for this exciting night of action. Satellite customers will be able to see the event on DIRECTV PPV, channel 123 HD or 124 SD. All others can catch this historic event on FIGHT NOW TV broadband PPV player powered by Ustream. Visit www.fightnow.com for details. *All fights and fighters are subject to change. About FIGHT NOW TV: With offices in New Jersey, Las Vegas and Toronto, FIGHT NOW TV is a cross-platform media company that creates and distributes content through its television, video on demand, and online outlets. Founded by Channel Zero, Inc. and media entrepreneur Mike Garrow, FIGHT NOW TV is the only 24-hour-a-day, seven-days-a-week combat sports channel in the nation. The network’s mandate is to bring the best battles, fiercest fights and stunning knockouts to America. 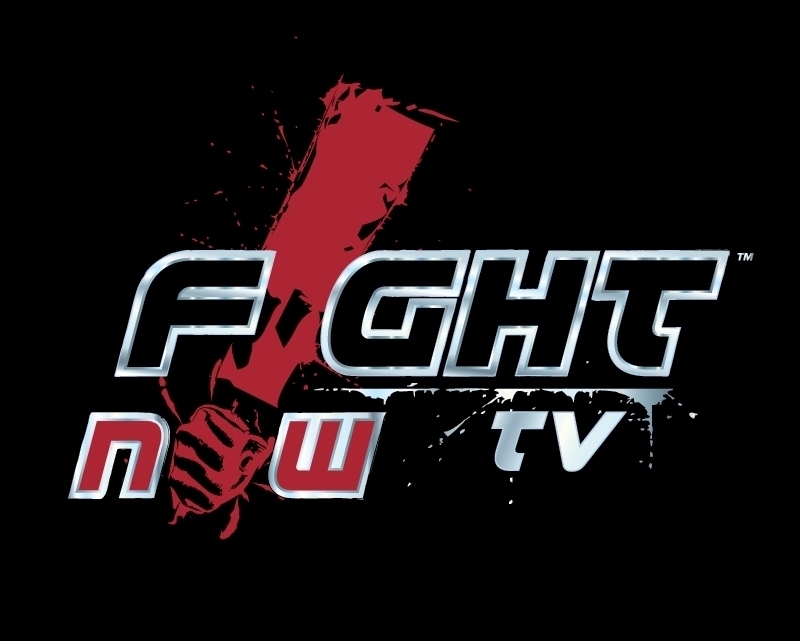 FIGHT NOW TV caters to fight fans of every genre, giving them a front row seat to compelling coverage of MMA, boxing, wrestling/grappling, Muay Thai, kickboxing and other combat sports. FIGHT NOW TV is the place for the best analysis, live and current events, documentaries and news coverage of the biggest PPV events and match-ups from around the globe. FIGHT NOW TV has also enlisted one of the fight game’s biggest names to join its camp, 5-time UFC champion and MMA legend Randy Couture, who serves as both spokesperson and analyst for the channel. For more information about FIGHT NOW TV go on line at www.fightnow.com, or follow on Twitter @fightnowtv and Facebook.com/fightnowtv. 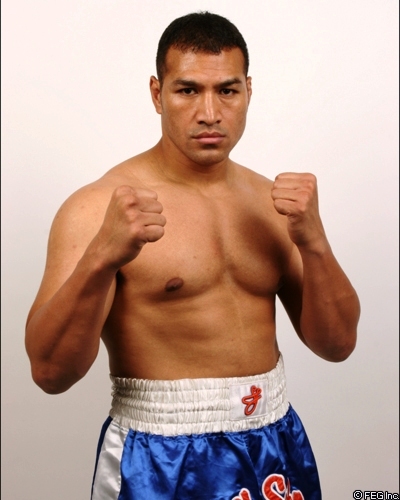 Six-time world kickboxing and muay thai champion Ray Sefo has earned many accolades in his prolific career. His upcoming induction to the Masters Hall of Fame will surely add to the list. The induction is June 19, with the Las Vegas resident joining the likes of past inductees such as UFC Hall of Famer Randy Couture, Brazilian Jiu-Jitsu founder Helio Gracie and UFC President Dana White. The 39-year-old established his reputation with more than 80 professional fights in kickboxing, muay thai, boxing and mixed martial arts with a combined record of 69-18-1 and 54 knockouts. But fighting isn’t the only aspect of martial arts he excels in. “He’s known for being phenomenal in the ring, but outside of the ring as a teacher Ray has a special gift that is very rare,” Schiavello said. Sefo has lived in Las Vegas for five years and has spent the past two years training at Xtreme Couture where he shares his kickboxing and muay thai techniques. Sefo took up martial arts at the age of 12 when he was inspired by Bruce Lee and Jackie Chan films. But for a young Samoan boy living in Auckland, New Zealand, and growing up in boxing family, martial arts were an unconventional hobby. Despite his family’s chagrin, Sefo broadened his martial arts repertoire when he took up muay thai during the mid 1980s. Sefo had no desire to compete, but when one of his training partners had to pull out of a fight after being diagnosed with asthma, he was filled in. Sefo turned that fight into a career, going undefeated as an amateur and turning professional in 1990. But it wasn’t until 1996 that Sefo became a star after joining Japanese kickboxing promotion K-1. In just his third K-1 fight, Sefo brutally knocked out Jerome Lebanner, one of the league’s more accomplished fighters, to announce his arrival amongst the sport’s elite. In 2007 and 2008, Sefo’s career entered a lull as he found himself embattled by illness and personal tragedy. In that same period he lost six consecutive fights. After taking a year off of K-1 in 2009 and focusing on his training at Randy Couture’s Xtreme Couture MMA Sefo feels rejuvenated. 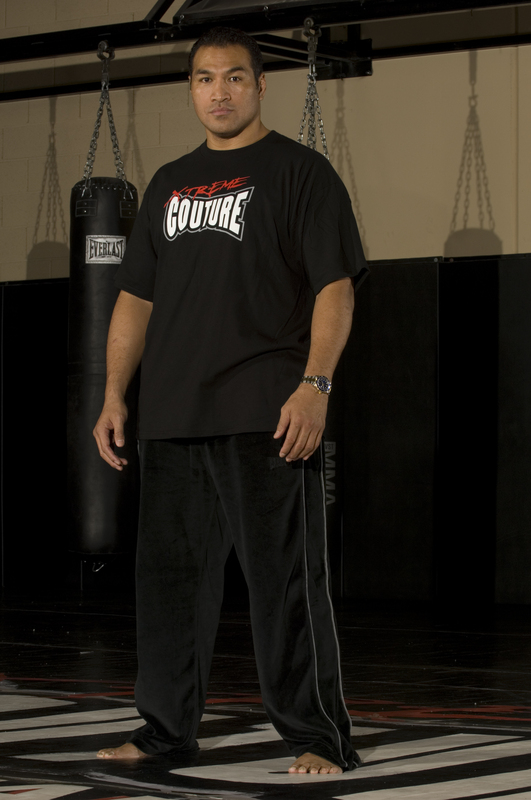 But perhaps most important to Sefo is the inspiration he has found in Xtreme Couture’s patriarch. Catch K-1 legend Ray Sefo vs. Kevin Jordan in an MMA fight tomorrow night on Showtime Sports 11PM ET. While Jordan has 18 MMA fights under his belt compared to Sefo’s 1 MMA fight don’t let that fool you. Ray looks to show the world that he has the skills and desire to make a serious impact in the heavyweight rankings. A trio of heavyweights will be representing Xtreme Couture this Saturday. Ray Sefo (Red Gloves) in Action. First up will be New Zealander Ray Sefo. The kickboxing legend will be taking on Korean giant Hong Man Choi in a reserve bout for K-1’s World Grand Prix 2008 Final. The event will air live on HDNet tonight at midnight and will replay again tomorrow at 6:00PM Pacific time. Next will be fellow New Zealand import Brice Ritani-Coe. The standout boxer will face Roland Sanchez in a Superheavyweight attraction on the Katana Cagefighting Conquest event in Robsville, Texas. Coming off of the grueling experience of helping Randy Couture train for his fight with Brock Lesnar, Brice will be looking to try out some new tricks as he squares off against the 360lb Sanchez. In the main event of that same show Brazilian Jiu-Jitsu brown belt Jay White will take on Ralph Kelley with the Katana Cagefighting Heavyweight Championship on the line. Jay will be counting on his formidable ground skills coupled with powerful standup to carry him to victory. Be sure to check back Monday for results. K-1 Legends and super cool guys Jan Nortje and Ray Sefo are the newest additions to the gym. Somehow Jan who is from South Africa and Ray who is from New Zealand ended up living in Las Vegas. In fact they share a house in the same community where Randy and Kim live. Jan knows Quentin Chong, Kim’s Muay Thai trainer, from South Africa. Last week Quentin was out to dinner at Xtreme Sushi with Randy and Kim when Jan walked over and said hello. The gang got to talking, Jan and Ray said they were looking for a new place to work out and Kim and Randy invited them to the gym. They liked it and decided to stay. “I can’t stand stink attitudes,” adds Ray. Neither can we. Check your ego at the door. Jan demolished Bob Sapp Saturday in Strikeforce (see video below). Both he and Ray are going to work on their MMA games here. Ray tells us that the new Dreams promotion in Japan offered him a fight with Cro Cop. The only problem is the fight is for March 5th in Japan and they just offered it to him last week. Ray says he’d love to fight Cro Cop in MMA and hopes the fight happens this summer.